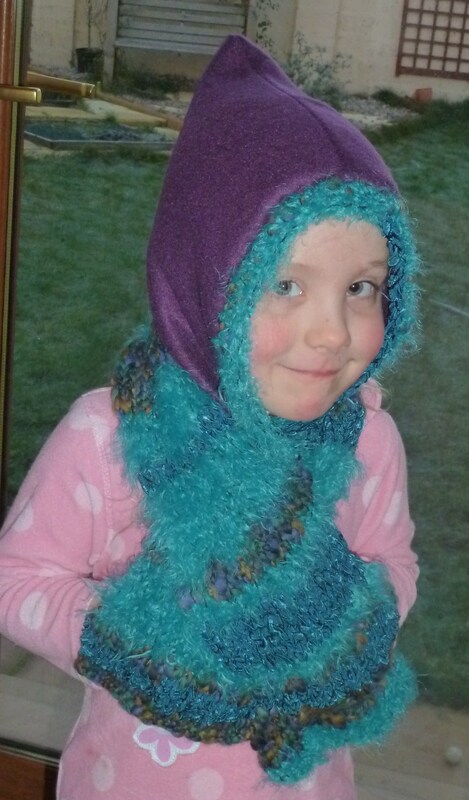 This entry was posted in clothes, knitting and tagged child, Craft, fleece, free knitting pattern, hand knit, hat, lining, pockets, scarf by GrumpyOldTrout. Bookmark the permalink. This is a treasure! 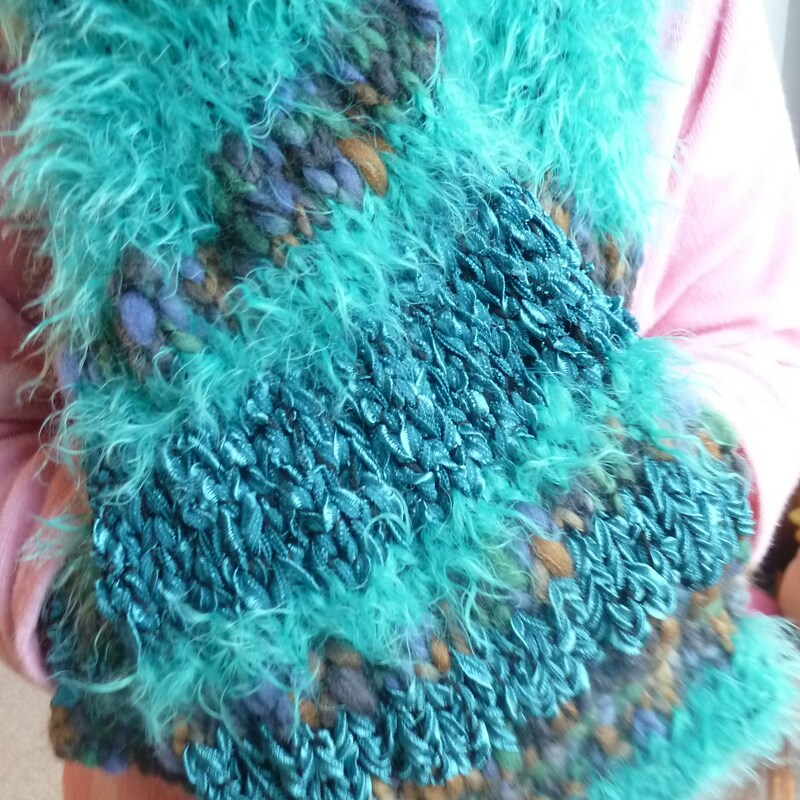 So glad I found you when I have as I had decided to crochet a simple scarf for my granddaughter and then decided to add pockets and hood to it. Then I decided to line the hood and pockets with fleece, but when I went to buy the fleece I saw this lovely white faux fur which was rather more expensive than intended, but as it was just for a tiny amount … Well, then I was a bit anxious about the whole thing since I’m not an experienced needle woman, so coming across your pattern is a real uplift. Thank you. You’re most welcome! 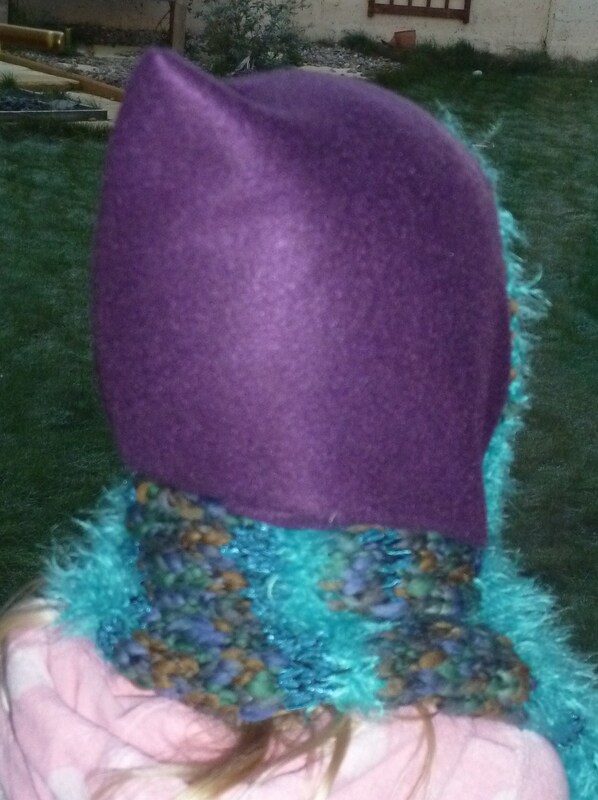 I hope your hooded scarf turns out beautifully. I’m sure your granddaughter will treasure it.